Paul Weller, Steve Brookes, Rick Buckler et al. DVD: 206 min., Blu-ray: 130 min. 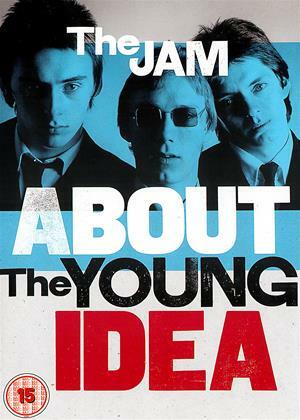 "About the Young Idea" is the story of The Jam. It charts their career from formation in the early seventies, through the heady days of chart success and on to their break up in 1982. The programme features extensive, brand new interviews with Paul Weller, Bruce Foxton and Rick Buckler alongside archive performance footage and new contributions from fans, journalists and many involved in the band's career. This set contains 'About the Young Idea' on Video One and 'When You're Young'.The Jam's previously unreleased performance on the famous German TV show Rockpalast from 1980 on Video Two. The Rainbow, London, December 1979 - "It's Too Bad" + "Saturday's Kids"
The Ritz, NYC, May 1981 - "The Modern World" + "The Eton Rifles"